When embarking on a grand road trip, we all are far too familiar with the joker who uses the ‘passing lane’ for their own personal expressway. While it seems like it should be common sense that the left lane is merely a means for passing the slower vehicles, some people choose to ride it the whole way, potentially causing irritation for other drivers looking to pass and be on their way. The solution is simple: be mindful. It is easy to get selfish on the road since most of us spend our time driving alone, but we must remember that we are sharing the road with other human beings. Be aware, be mindful, and use the left lane to get around slow-moving vehicles, not create a roadway constipated with slow-moving vehicles. This lovely specimen of a driver is one that many of us end up shaking our fists and screaming profanities at from the comforts of our cars. One of the most nerve-racking moments when driving has to be merging to join heavy traffic on the interstate. Considering the anxious nature of this, you would think that most drivers would have respect for one another and kindly allow others on the road to comfortably and safely merge, but this gem of a character likes to make sure that other drivers know that he or she is the ruler of the road. Not only is this behavior insanely selfish and inconsiderate, but it is also very dangerous. Long story short, egos do not belong on the road. There is nothing quite like meandering through a packed house of a parking lot only to find that the one available spot is only two-thirds of a spot. Parking is one of the least difficult, if not the least difficult task when it comes to driving, especially because there are bright yellow lines to guide you in! So, considering the virtually effortless nature of parking a vehicle — unless you are parking a trailer or parallel parking — there is no excuse to not park between the lines. However, time and time again we find ourselves stumbling on the works of bumbling serial parkers who threaten our very peace of mind with their horrible parking and lack thereof consideration. Even if you consider yourself a great multi-tasker, it is best to this skill set at home. We are all familiar with those insufferable times when the person in front of you is stationary at a green light because they are texting, putting on makeup, and lip-syncing to Alanis Morisette all at the same time. Now, in our modern technological era, many of us get distracted from time to time with phone calls, Snapchat, or even our GPS systems, however, it is when we let our confidence in our abilities get out of hand that we slip up cause accidents, injuries, and even fatalities. Studies conducted on the dangers of distracted driving have shown that it is just as deadly, if not more deadly than drunk driving. 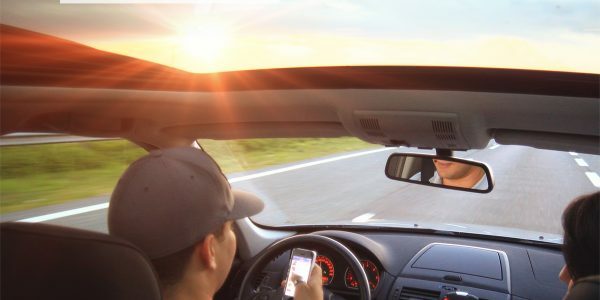 So, if you notice this absent-minded individual running a muck on the road, simply allow it to be a reminder to you to be more mindful and present while you are driving. It is important to remember, after reading this, that we are all human. All of us have our mannerisms and quirks that sometimes come out on the road, and that isn’t inherently a bad thing. Our human nature gives us a lot of good qualities on the road as well, such as: pulling over to check on someone if their ‘hazards’ are on, passing through a yellow light before it turns, and swerving to avoid colliding with another vehicle who doesn’t realize you are in their blind spot. In the end, it is important that we practice attentiveness, presence, and mindfulness while behind the wheel of a vehicle. Being aware of these behaviors is just a small part of making the roads more connective and responsive outlets for humans to navigate safely. Drive with tact, don’t react.